On the surface, rent control may appear to be a viable solution to the rental housing crisis, but the unintended consequences heavily outweigh the rewards. Recognized for its sunny weather, remarkable beaches and booming biotech industry, San Diego has become one of the most desirable and expensive cities to live in as rents continue to rise steadily. The average rent in San Diego County hit a record $1,887 per month in March of this year, increasing 8 percent from the same time last year. But rent control is not the answer. The problem of skyrocketing rents was not caused by greedy developers or money-hungry landlords, but is the result of overzealous building regulations, outrageous permit fees and unreasonable environmental restrictions that stifled the building of new homes in San Diego. Some would like to solve the problem by stripping away homeowner’s personal property rights through rent control and more governmental regulations without considering the unintended consequences. The primary reason for high rental prices in San Diego is simple: supply and demand. Rents increase as more renters compete for the available housing. Other factors—such as population growth, ability to pay, and the relative scarcity of housing—also affect the rental rates. The solution to soaring rents appears to be a simple matter of increasing the rental housing inventory, but that has not happened because it is too expensive to build affordable housing in San Diego. 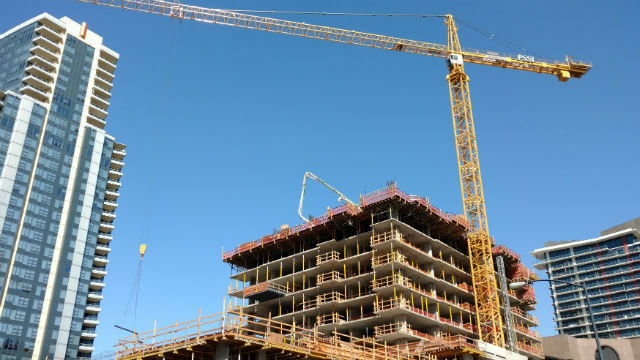 A Point Loma Nazarene University study determined that building regulations are a significant factor in San Diego’s high housing costs, accounting for approximately 45 percent of the total costs. Because of San Diego’s excessive permit fees, many developers look elsewhere to build, where profits are better, since affordable housing projects in San Diego no longer pencil out for them. The end result is the further tightening of the housing and rental market. There has been a slight increase in new home construction projects in San Diego County, but the average new home price in San Diego is $1,180,557–well above what most of us can afford—and these homes are generally not used as income-generating rental properties. A large percentage of rental properties are owned by individuals relying on rental income to finance their retirement or supplement the owner’s current living expenses. This is especially true for senior homeowners living on fixed incomes. If implemented, rent control may even scare some property owners into selling their rentals for a one-time cash out, further removing supply from the market and limiting the number of rentals available. Rent control might seem to be an easy and practical solution, but it is a short-term fix that would only add to the housing shortage, crippling the San Diego rental market even further. As with most government-imposed short-term solutions, there are unintended consequences that are often worse than the problem they are attempting to fix. For instance, imposing rent control can result in properties falling into disrepair as landlords defer much needed property maintenance due to a lack of sufficient income from their rentals. In an effort to address the shortage of affordable housing, the San Diego City Council recently voted unanimously to waive fees associated with construction of Accessory Dwelling Units, commonly referred to as “granny flats.” Until now, homeowners have paid $40,000 or more in government fees before even starting construction on a granny flat. The city council slashed those fees by more than 60 percent, incentivizing homeowners to build granny flats. Granny flats are smaller, independent units on the same lot as a single-family home, and could accommodate future growth to help meet the rental needs in San Diego. Granny flats are particularly appealing because they are generally less expensive to build than standard single-family homes. Stripping away personal property rights and imposing rental restrictions on homeowners are ill-advised attempts to solve the rental crisis that are punitive in nature. Worse, their long-term results will do more harm than good to San Diego’s volatile rental market. Creative solutions, such as reducing costly permit fees accompanied with incentives, are what are needed to address the rental crisis. 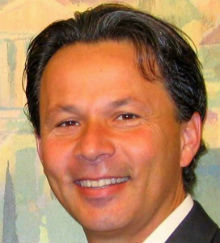 Mark Powell is on the board of directors for the San Diego Association of Realtors and is a member of the San Diego County Board of Education.